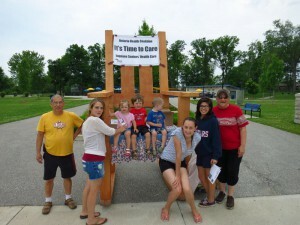 Come out and show your support as we, make time to care! 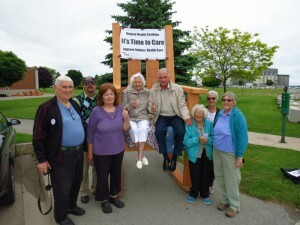 Join the Ontario Health Coalition, local health coalitions, friends and allies as we?tour?the province, pushing for improved access to care and improved levels of care in Ontario’s long-term care homes. 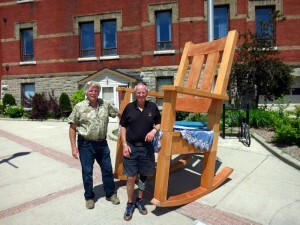 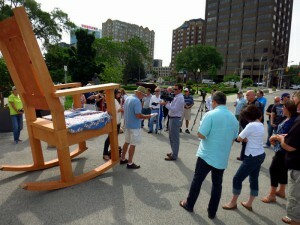 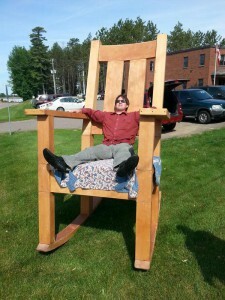 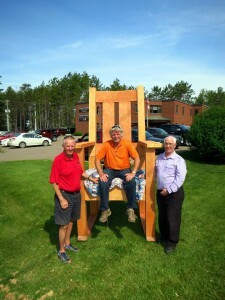 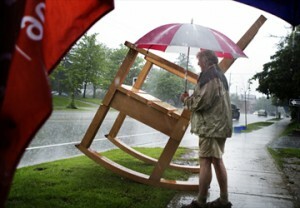 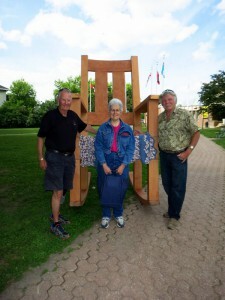 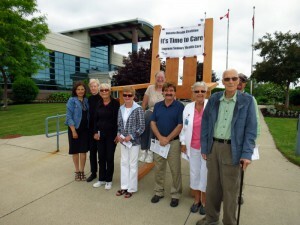 ?A?giant 10-foot tall?rocking?chair?will accompany the?tour, symbolizing comfort, safety and compassionate care. 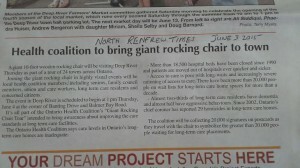 There have been more than 20,000 patients on wait lists for long-term care home spaces, for more than a decade? 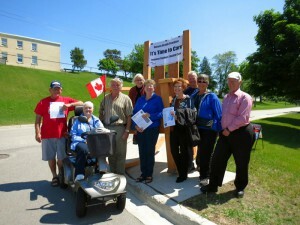 Almost 2/3 of long-term care residents have dementia and almost half have aggressive behaviours? 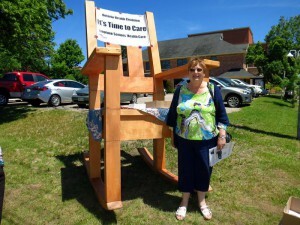 The most common complaint of families, residents, and staff alike is that there isn’t enough care to meet the basic needs of their loved ones and residents safely. 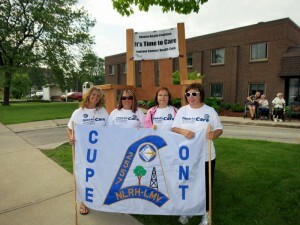 The Ontario government must set a minimum care staffing standard of 4-hours of hands-on care per day, per resident. 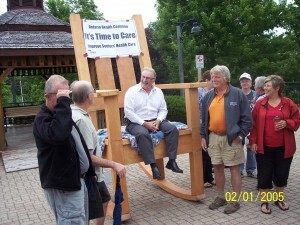 The Ontario government must improve access to care and reduce wait times. 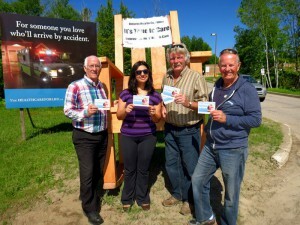 The?tour?will stop in 24 towns across the province, each involving a special media event. 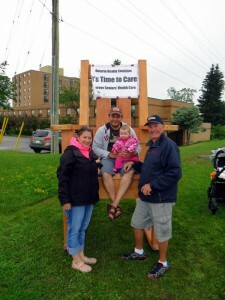 These media events will be approximately 1/2 hour in length, and we want?you?to be involved! 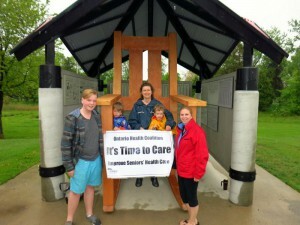 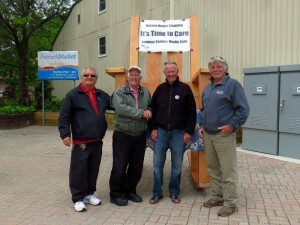 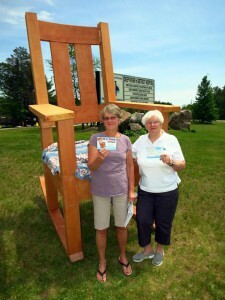 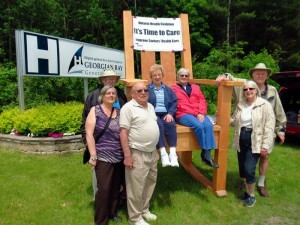 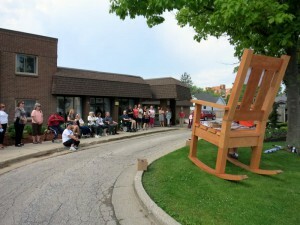 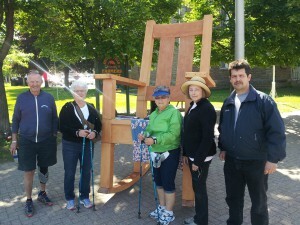 On behalf of the Ontario Health Coalition, we would like to send a great big thank you to everyone that supported the 2015 Giant Rocking Chair Tour. 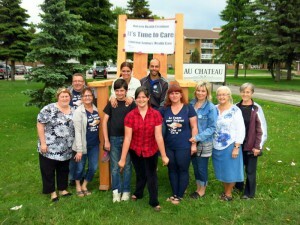 To everyone that came out, supported, and made time to care about this tour, it was a success because of you.? 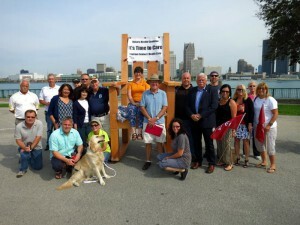 The media coverage across the province was incredible with newspapers, radio stations and TV news reporters covering the events province-wide. 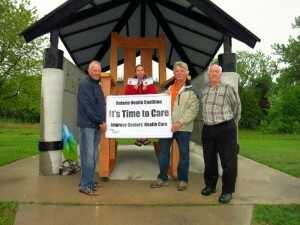 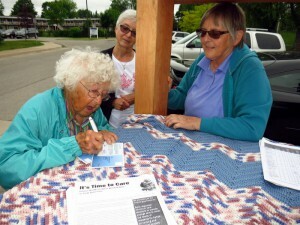 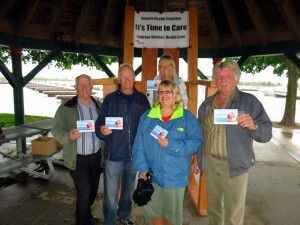 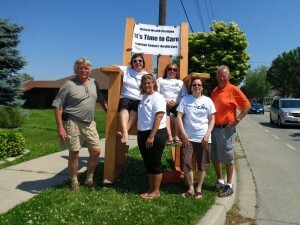 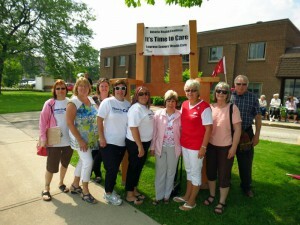 In addition, we also had several local MPPs come out in some of the towns to show their support for the campaign. 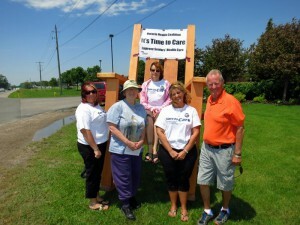 The Ontario provincial government must?set a minimum care staffing standard of 4 hours of hands on care per resident per day. 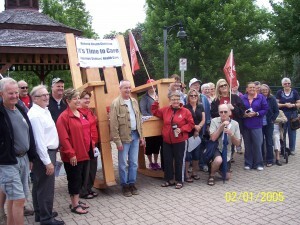 ?The push for improved care standards in long-term care facilities across Ontario has been made clear and we will continue to advocate for this goal. 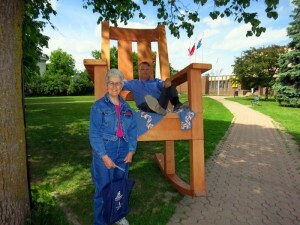 Below are some photos from all 24 stops of the tour. 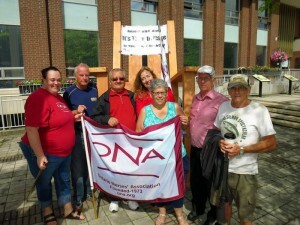 ?Stay tuned for the Ontario Health Coalition’s upcoming events, tours, rallies and more via Facebook, Twitter, email and/or the website.